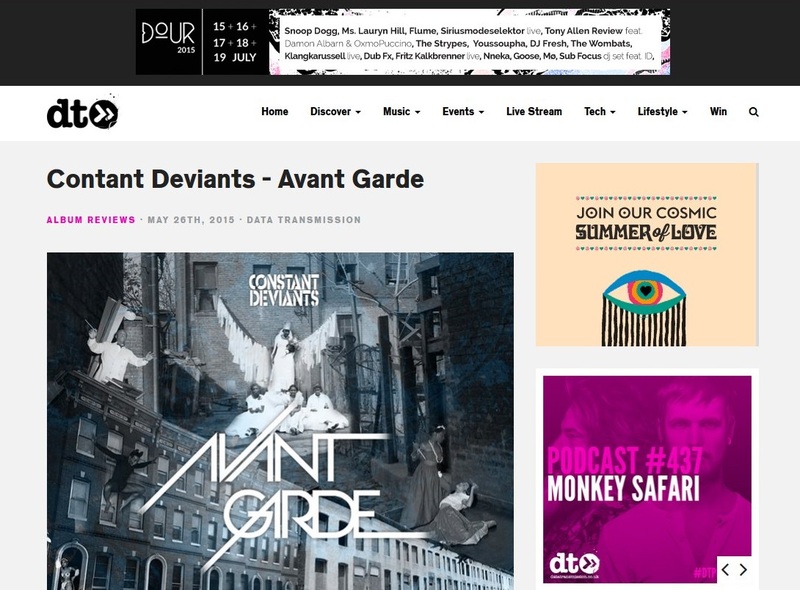 2015 has proven to be a strong pre-cursor for Constant Deviants celebrating the 20th anniversary of their debut 12″ single release “Competition Catch Speed Knots” next year. 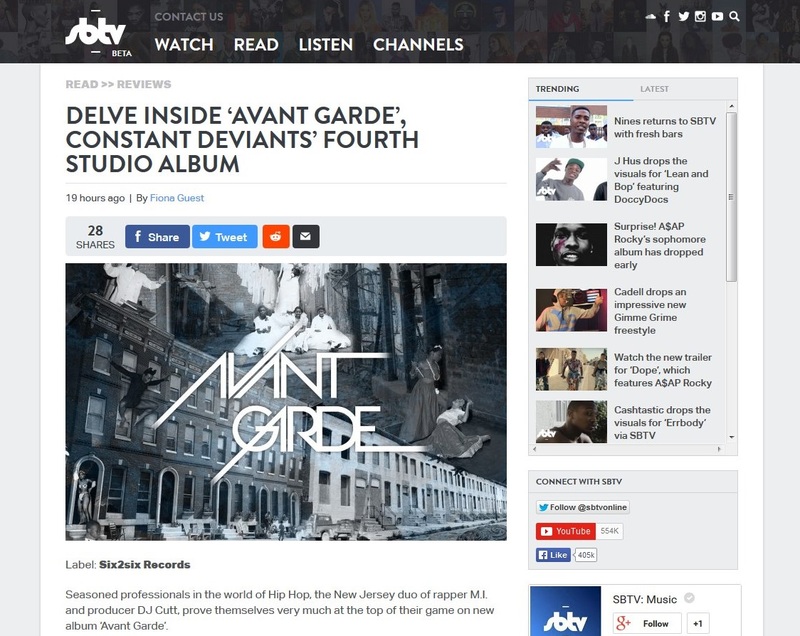 They released their “Swiss Banks” movie with European associates SWC Records in March, and then of course their fourth studio album in six years, “Avant Garde”, on 12th May which has received widespread international media & press coverage over the past couple of months. 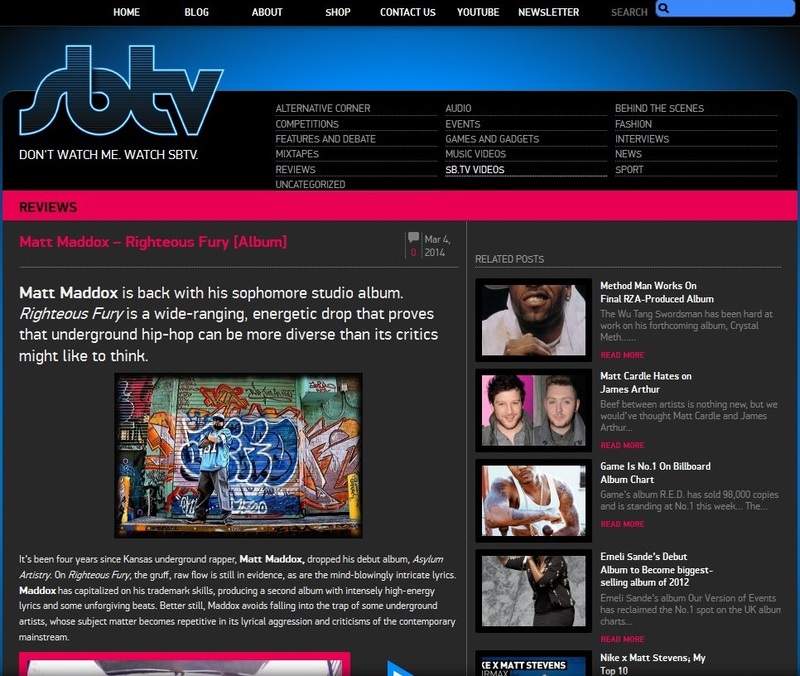 British online SBTV has developed over the past few years as not only one of the UK’s leading youth broadcasters but has built a large international profile. 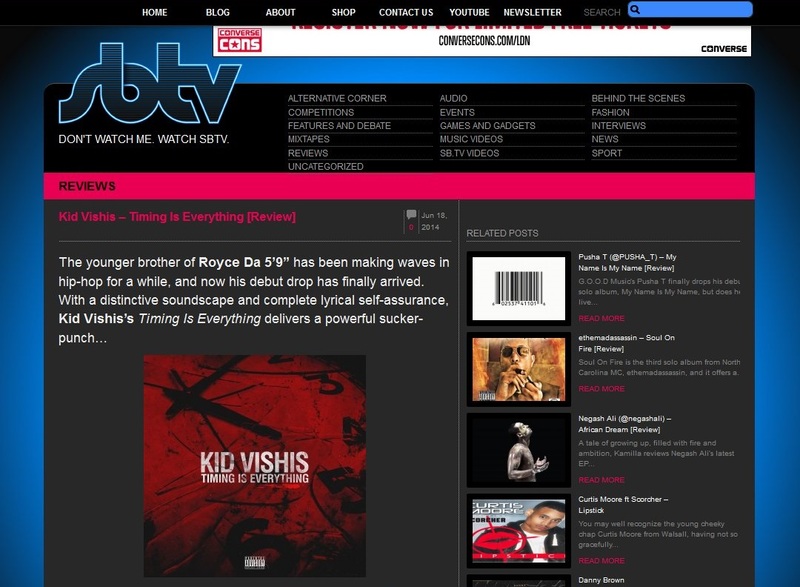 You can keep up to date with him on twitter @KidVishis and the label @Seven13Music. Look out for much more international media coverage on this release over the summer, with further reviews, interviews, video & audio releases. The UK’s leading online youth broadcaster SBTV was set up by young entrepreneur Jamal Edwards a few years ago while still in his teens. For overseas readers, he built the site up from filming freestyles of new artists all over London, throwing them up on Youtube, and the view rate was literally massive. Fast forward to today and he still supports the UK scene but also has content from some the biggest international artists around. When he’s not mixing with Virgin owner Richard Branson or Prince Charles, he’s appearing on BBC Breakfast TV promoting his new book. It has been quite a phenomenal rise for a brand now valued in the millions on the stock market. If you didn’t know the name before, research it! 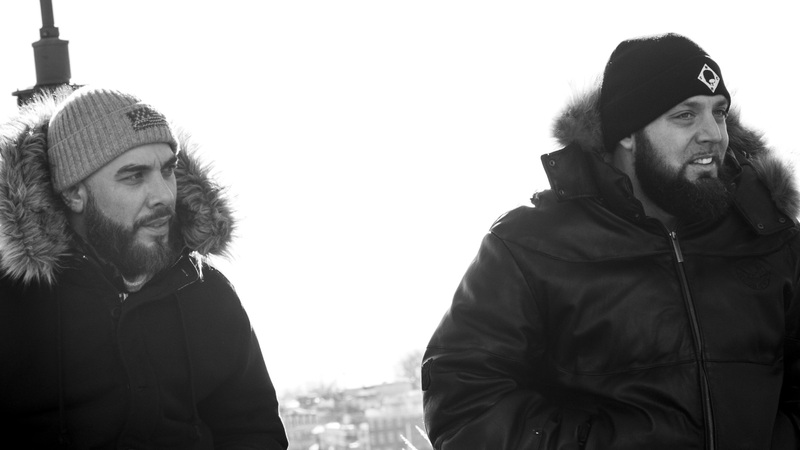 His in house team also provide news, features and reviews, and the site’s Fiona Guest is the latest to run the rule over the new album by ethemadassassin. 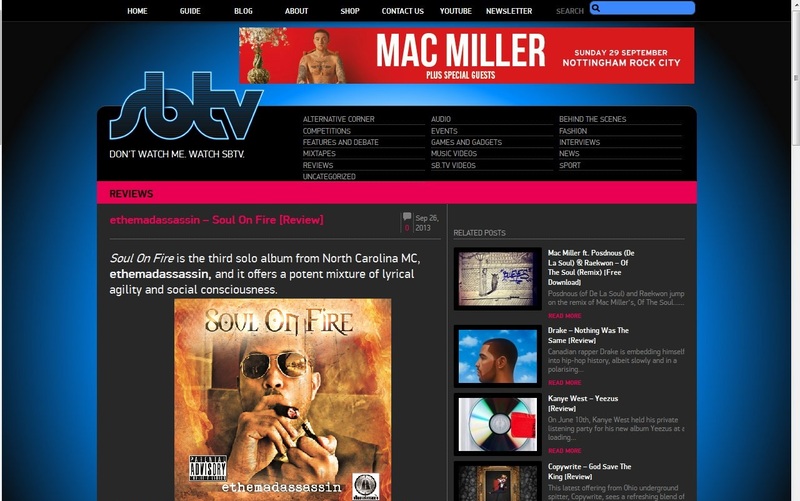 Most associated with Greensboro NC, the now LA based rapper released his third solo album “Soul on Fire” on Tuesday 17th September. Meantime, check out these bangers. 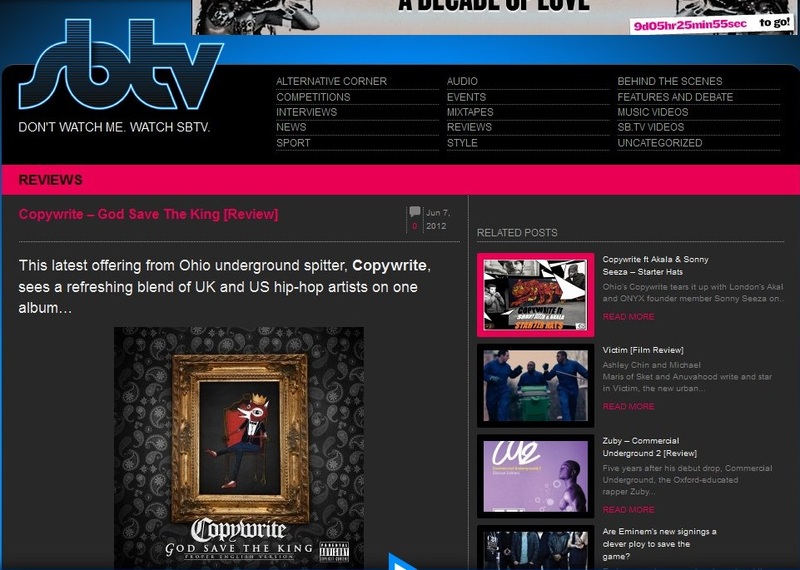 Ohio’s Copywrite continues to impress the UK’s media with his new album God Save The King (Proper English Version), this time via the renowned online SBTV.